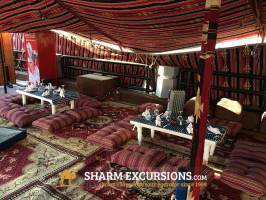 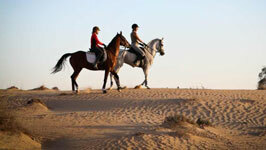 A fantastic tour to experience real Bedouin life! 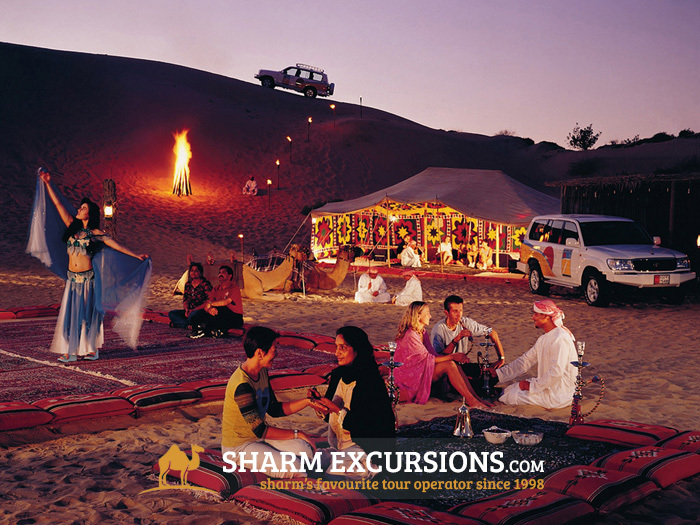 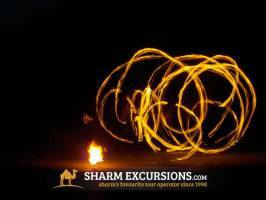 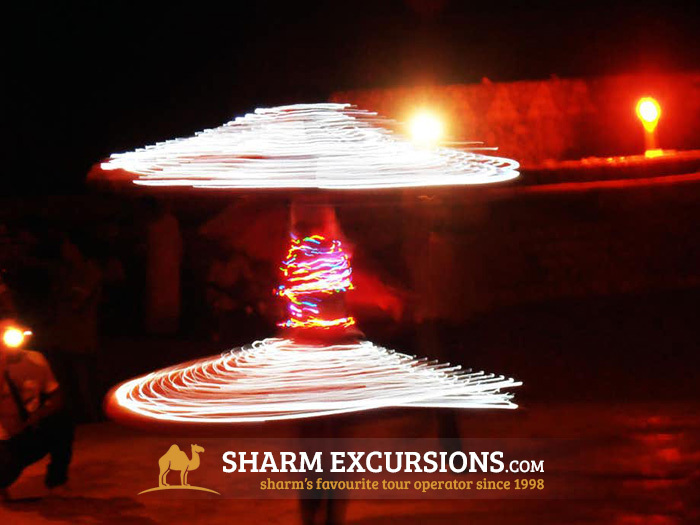 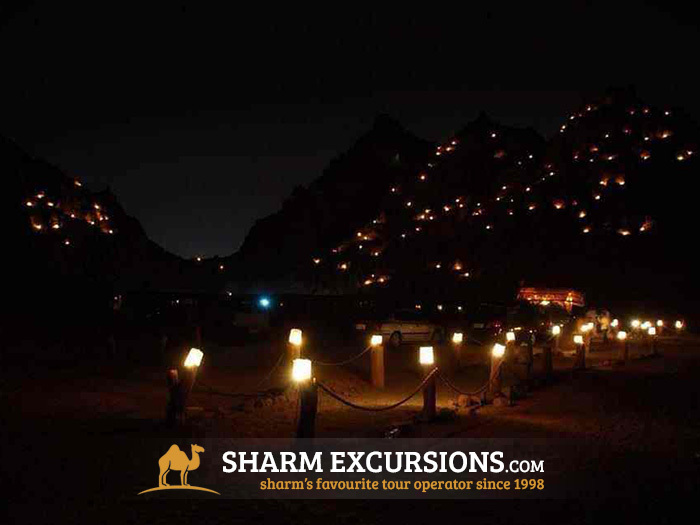 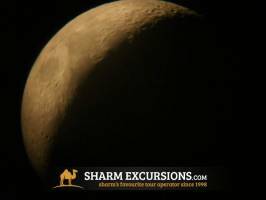 Watch the beautiful sun-set over the Sharm desert, drink and eat authentic Bedouin food, watch a great show of belly dancing, fire-breathing and more. 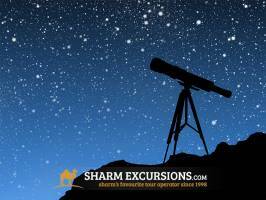 Then lay back and view the spectacular view of the milky way and stars through a telescope. 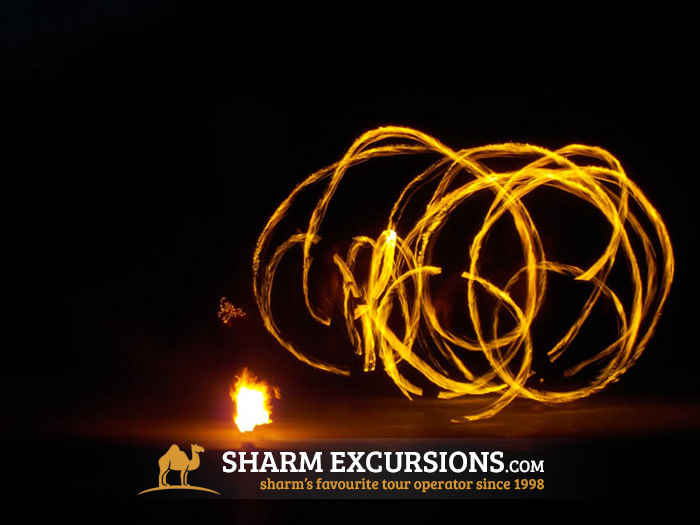 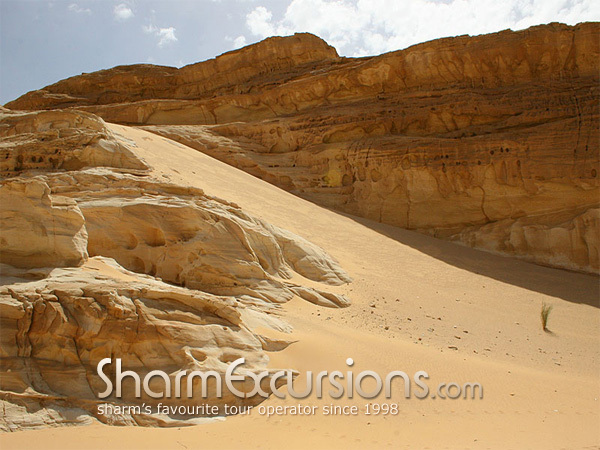 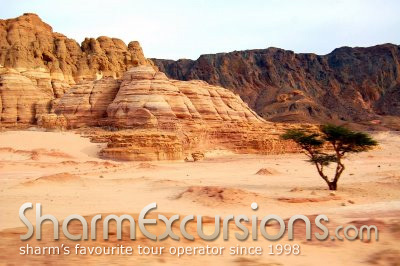 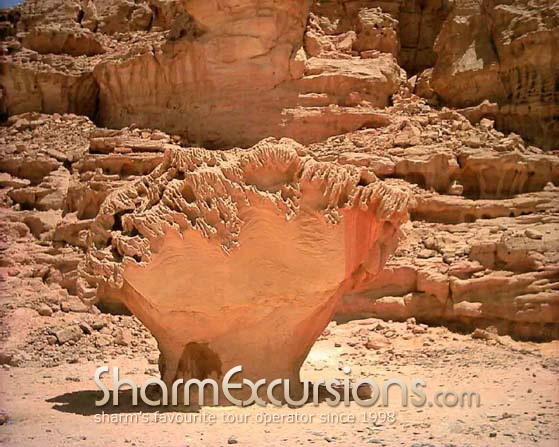 We'll pick you up from your Sharm hotel and take the short drive into the beautiful desert that surrounds Sharm - where the resort hasn't yet spilled over to and where it looks largely as it has done for thousands of years. 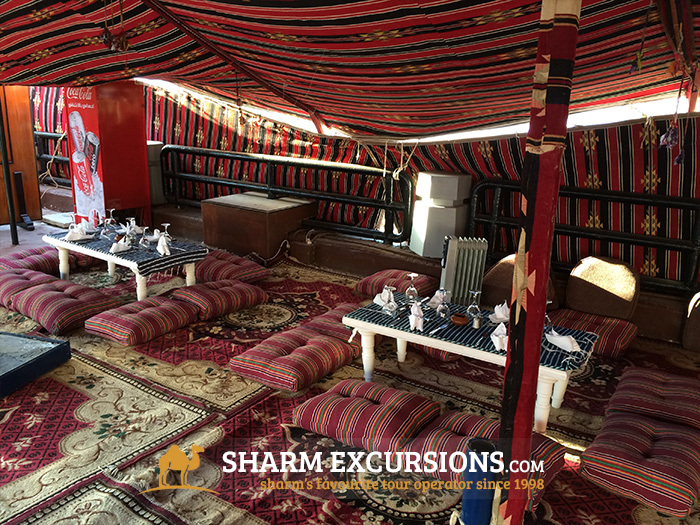 Upon arriving at the Bedouin camp you'll be greeted by the Bedouins in a real Bedouin tent where you can chill out and have a rest, drink authentic Bedouin tea with herbs and smoke the water pipe (Shisha) if you wish. 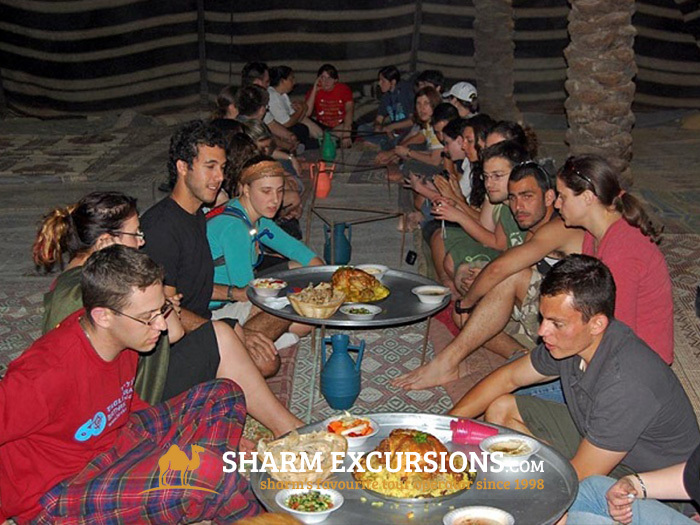 You'll also have the opportunity to make delicious fresh bread the ancient Bedouin way. 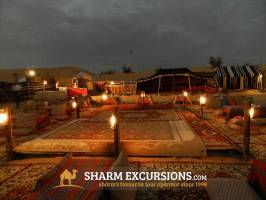 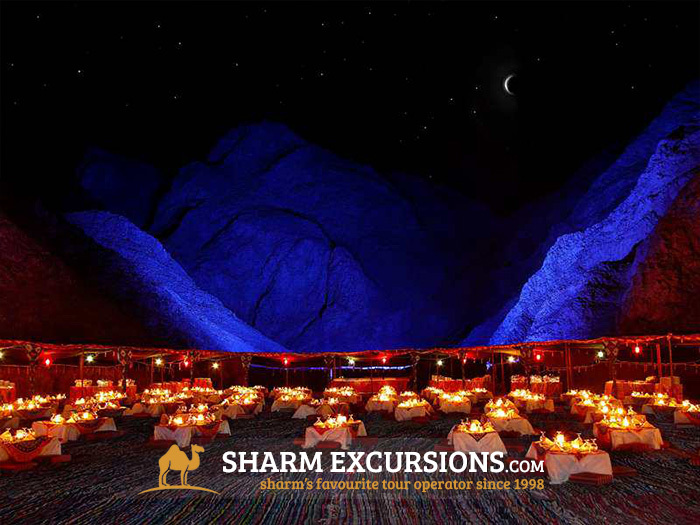 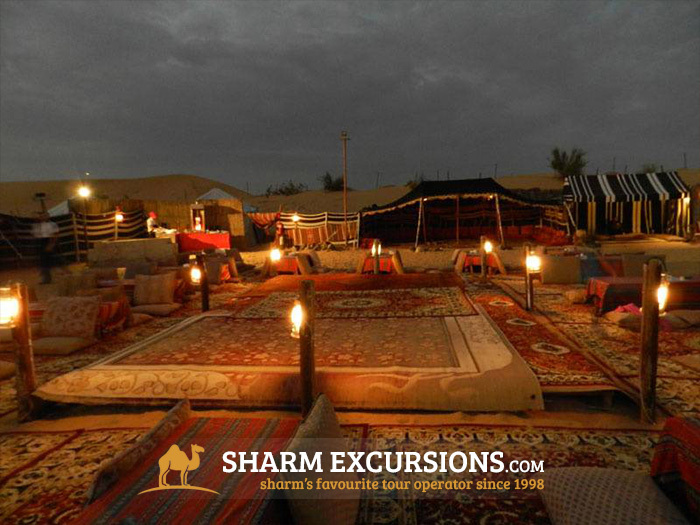 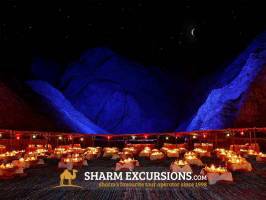 After some chill-out time in the tent, experience a delicious Bedouin buffet dinner under the candle light in the middle of the beautiful Sharm desert followed by a Bedouin show consisting of Bedouin dancing, belly dancing and a Tannura show. 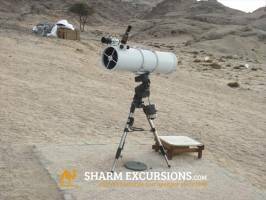 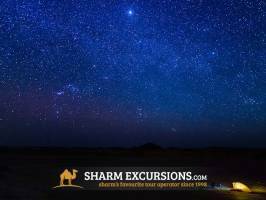 After all of this noise and excitement you will have some time to sit back amongst the dead silence of the desert and look up at the spectacular view of the milky way and stars through a telescope placed in the desert. 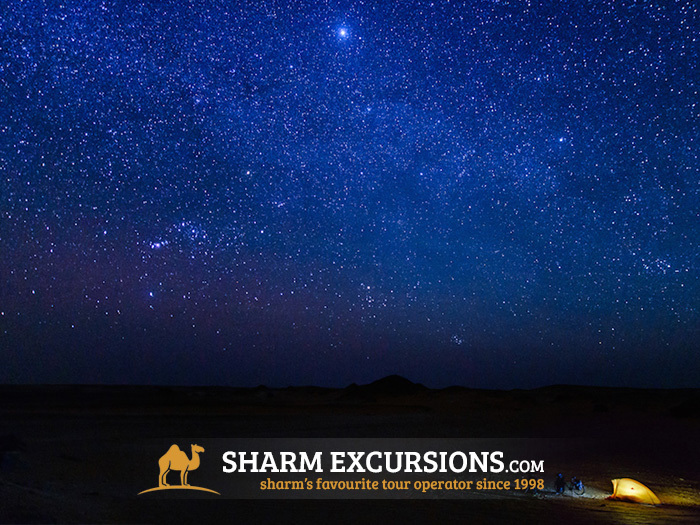 After a fantastic evening of drinking, eating, star gazing and experiencing the life of a Bedouin, you will be transferred back to your hotel. 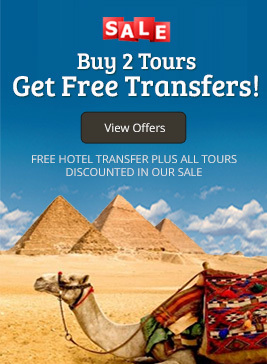 This trip is excellent. 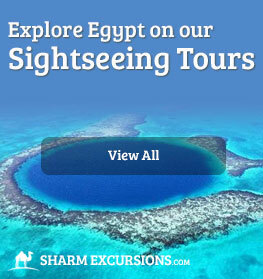 highly recommend this to anyone who goes to sharm. 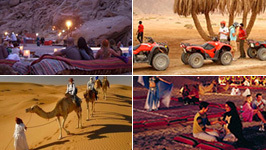 the camel ride is not too long, the sunset views from the top of one of the mountains are breathtaking, the bedouin dinner is better than the hotel food and the whole general experience is brilliant. 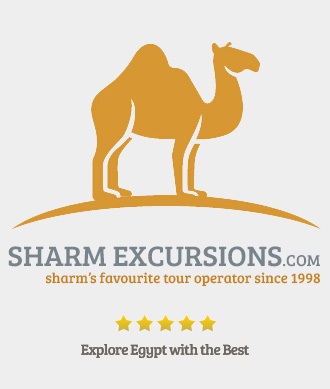 I could write a review about every single trip I went on to say how awesome these guys are - they made our trip to Egypt so special and my daughter still talks about 'her friends'. 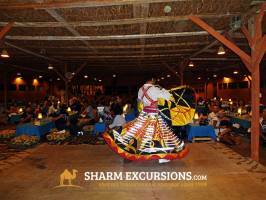 She adored the tour guides and they really adapted everything we went on to make sure both an adult and toddler could enjoy it all. 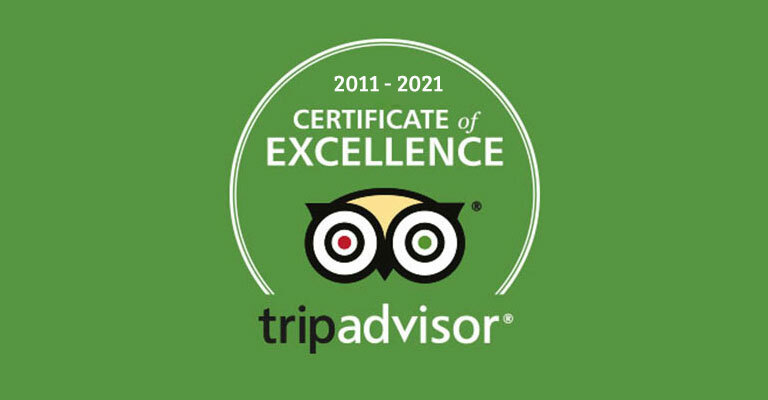 I can't sing their praises enough! 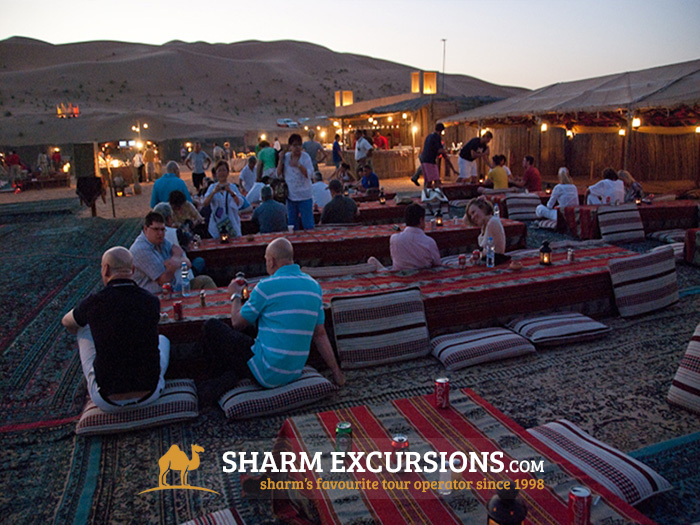 This trip was amazing loved the camel ride which took us across the dessert to where we had our meal. climbed up some of the rocks to watch the sun go down over the dessert then tried bread making with the locals. 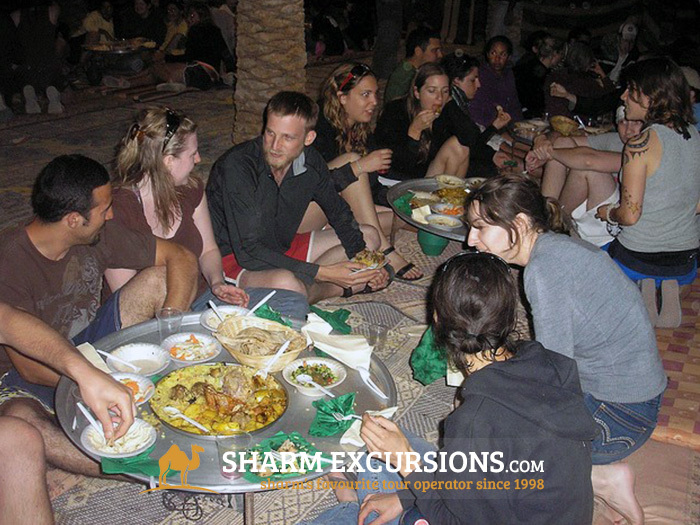 We had our own private buffet of delicious food with and endless supply of drinks all included in the price. 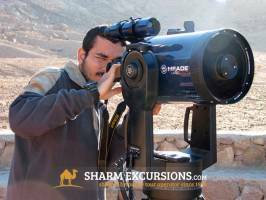 The star gazing was really interesting and over all the trip was very well organised. 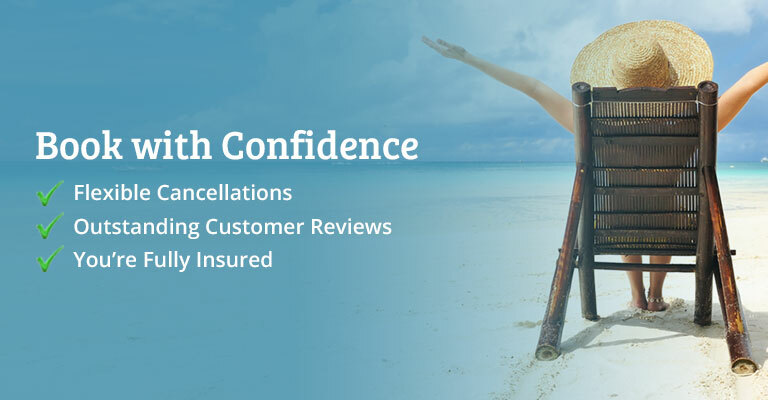 completley recommend! 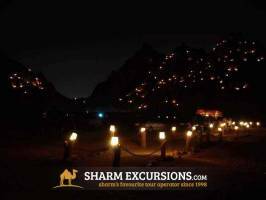 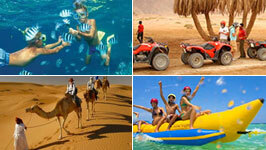 Hello, having returned from a wonderful trip to Sharm -el Sheik I want to say that the above company have been brilliant. 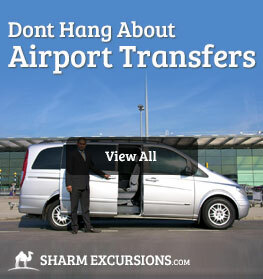 I booked them to transfer us from the airport to the hotel and for 2 excursions and dealt with Mohammed who was very helpful. 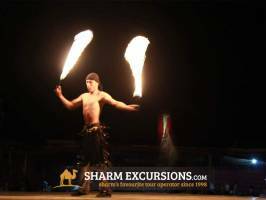 However when we arrived at the hotel we found that there was no booking for us (but that is another story) but the rep Sadeek and Isan the driver did not abandon us. 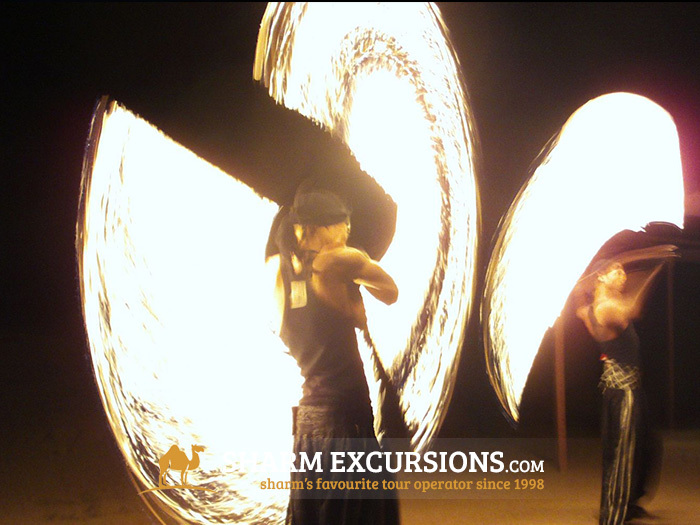 they stayed with us, drove us around town and took us to another hotel. 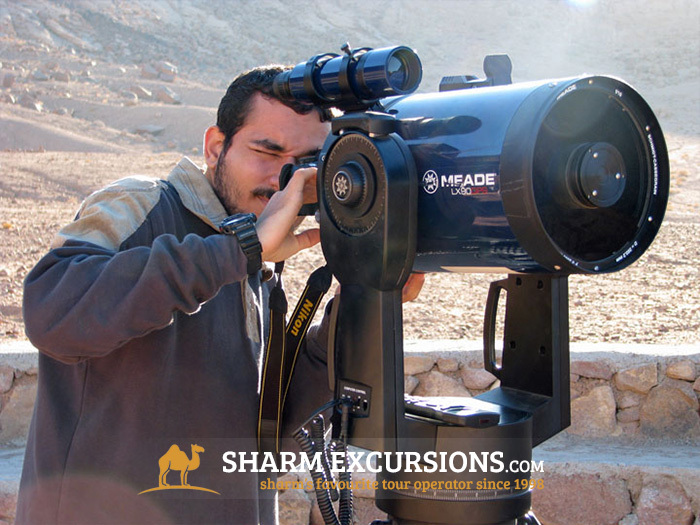 Next day when Isan --brilliant driver , we called him Micheal Shaumaker--and Mido collected us for the Bedoiun trip they were on time, very proffessional, friendly, funny, grat company to be with and they went out of their way to make it a great experience for us. 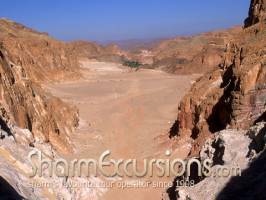 Then we went on the Mount Sinai trip with Mahmoud and his driver and they too were great. After the bad experience we had at the start of the holiday these guys restored our faith and made our holiday really good. 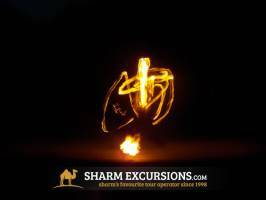 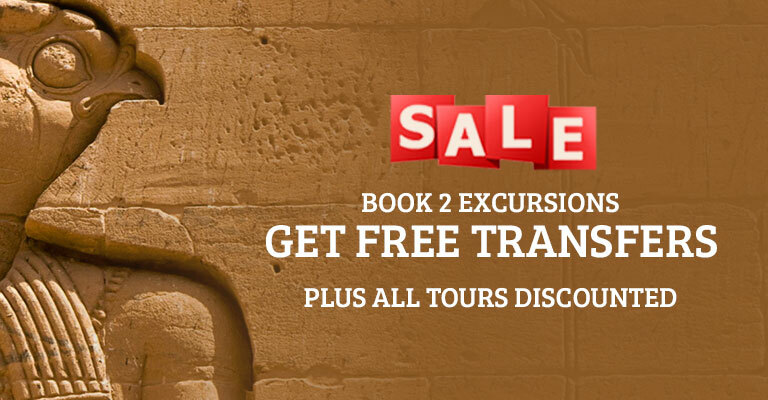 We would have no hesitation in recommending them and would love to go back to Egypt and would definitely be booking this company again...wouldnt even think of using any other one. If you read this then thanks again guys and apologies for names being mispelled. 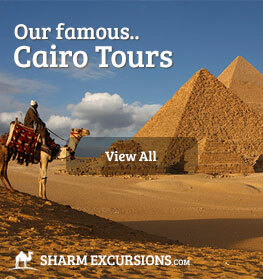 Possibly one of the best excursions. 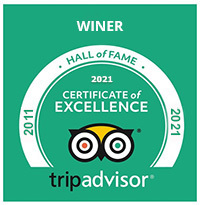 Relaxed, atmospheric and definately an experience. 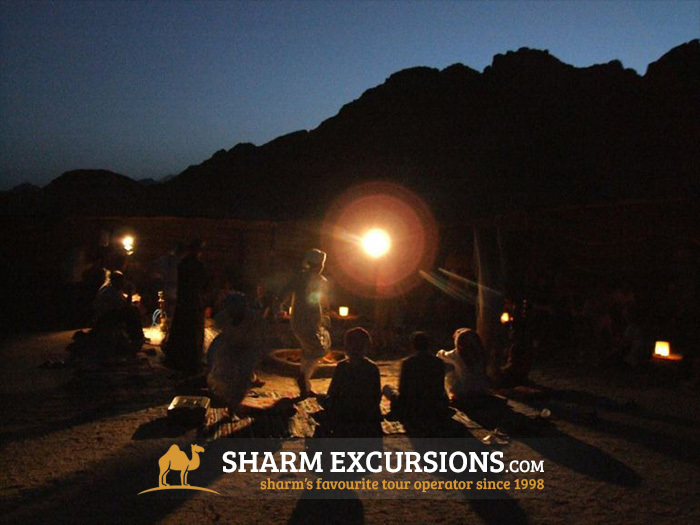 We were taken by camel to the camp where we climbed a small rocky outcrop in the mountains to see the sun set. 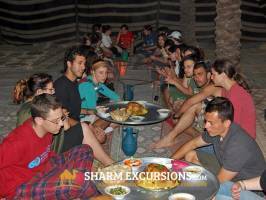 We then settled in the camp where we were fed lamb (the first time I ate lamb since I was a child and it was great), chicken, flat bread rice and vegetables. 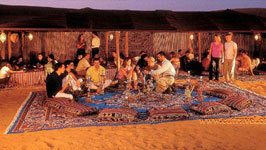 We then had some Hibiscus tea which was very good ( I later bought some to bring home). 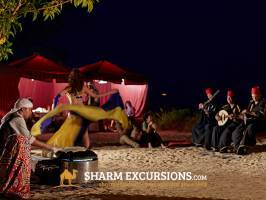 There was the show, belly dancer, african dancers and another traditional and very colourful dancer. We had a go at the belly dancing and it was all in good humour. 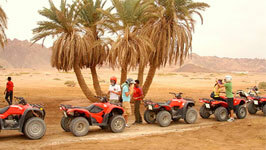 Some of the guys had a go at making the bread as well. 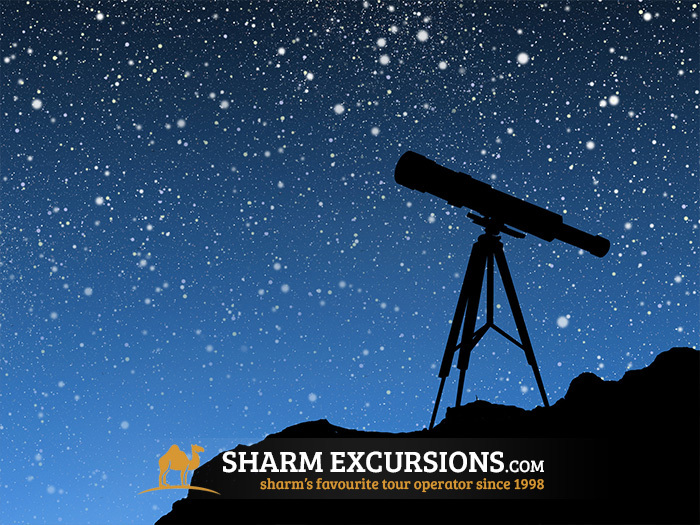 We ended the night with a little star gazing with a huge telescope. 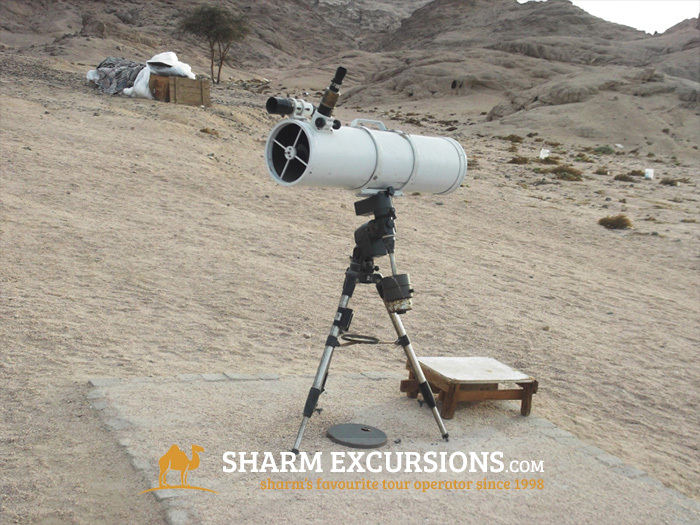 The guide for this was very knowlegable and pointed out the various significant constalations and showed us the moon, and Saturn through the telescope. The whole excusion was led by Mahmoud (Moody) who was brilliant. 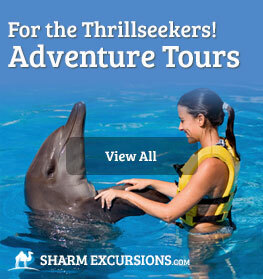 Again, knowlegable and fun. He took the time to ensure everyone was comfortable and enjoying the experience. A great excursion for a chilled cultural evening. 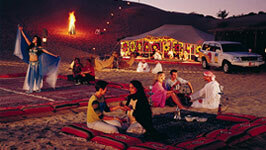 I would definately recommend this. 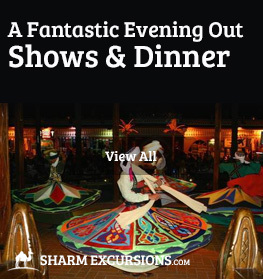 This is just the last 7 customer reviews written for Bedouin Show, Dinner and Star Gazing in Sharm, if you want to see them all please click below. 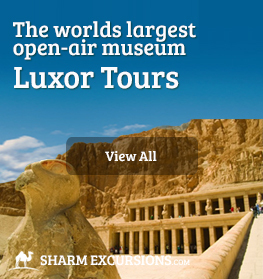 Don't worry it will open a pop-up and not take you off this page.